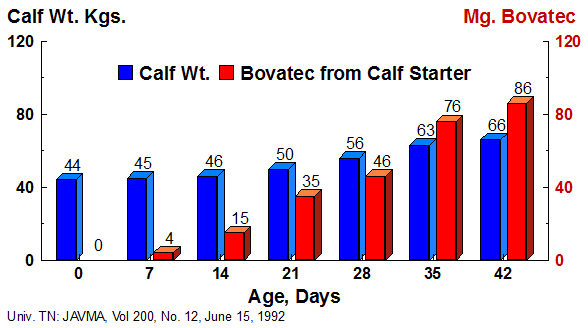 Calf Pro is a unique liquid formulation containing Bovatec® (lasalocid)*, an early acting coccidiocide. Bovatec has been proven effective in controlling coccidiosis caused by E. bovis and E. zuernii in cattle. 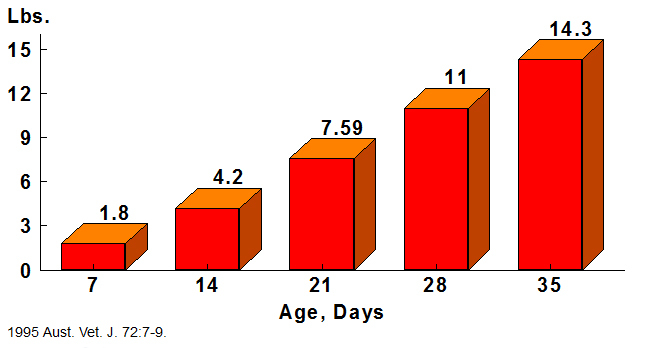 It acts early in the life cycle to protect against intestinal damage. Calf Pro is formulated with fat soluble vitamins, A, D3 & E, plus water soluble vitamins, B1, B6, B12, Biotin & Niacin to fortify the nutritional needs of non-ruminating young calves. Add Calf Pro to whole milk or reconstituted milk replacer to provide 1 mg of lasalocid per 2.2 lbs. (1kg) of body weight. 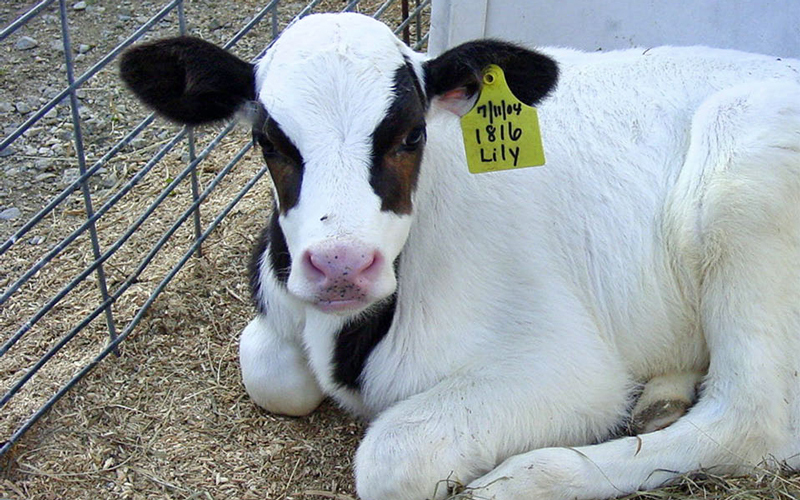 Each ml of Calf Pro will provide medication and vitamin supplementation for 5 kg or 11 lb. of calf body weight. (10 ml/110 lb. 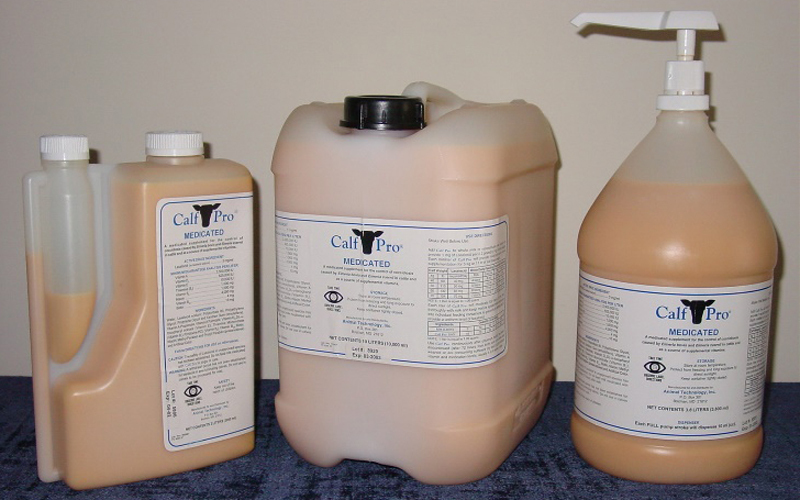 calf) Use Calf Pro continuously after colostrum feeding has been discontinued (day 2-3) and until calves are consuming dry feed with coccidia medication to get proper levels: usually not until 4 to 5 weeks of age. 30 66 30 mg. 3 liters 6 ml. 1.5 liters 3 ml. 40 88 40 mg. 4 liters 8 ml. 2.0 liters 4 ml. 50 110 50 mg. 5 liters 10 ml. 2.5 liters 5 ml.